Stage 4 of the 2016 Route du Sud had a stage finish on Col de Couraduque. 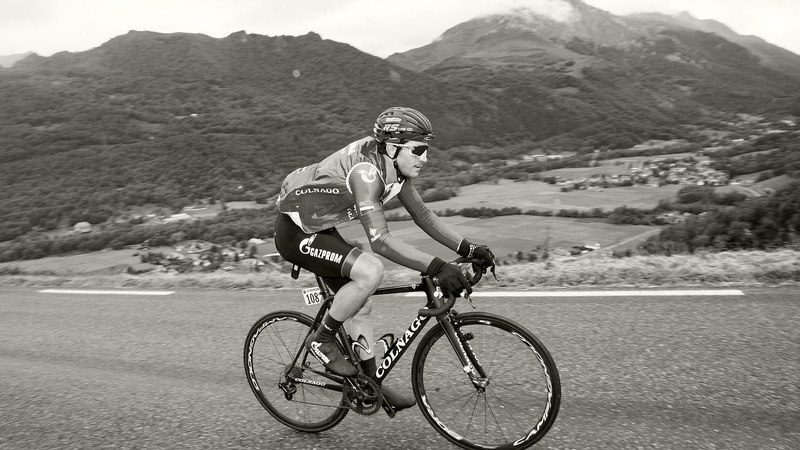 The stage was 185km with 5000 metres of climbing. Before the finishing climb the riders cross Col du Tourmalet and Col des Borderes. Here are some photos I made 4km from the finish. It was a super hard race in terrible weather conditions. Cold rain and even snow on Col du Tourmalet. Of 126 staters only 95 finished. 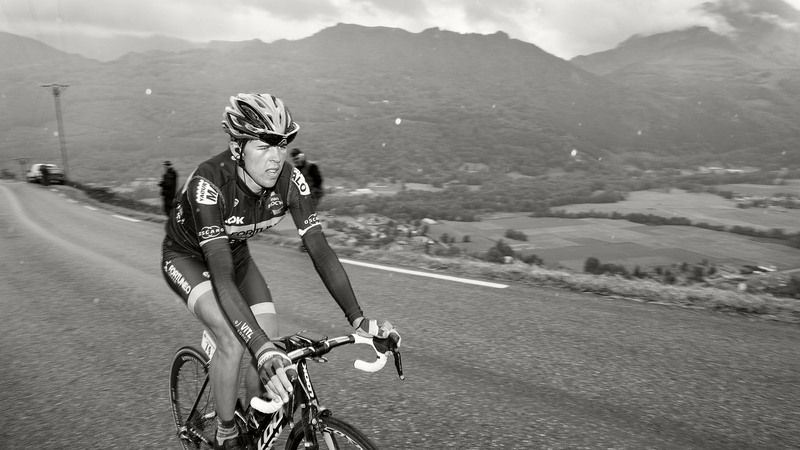 Col de Couraduque photo gallery. The Peloton, or nearest thing to one. 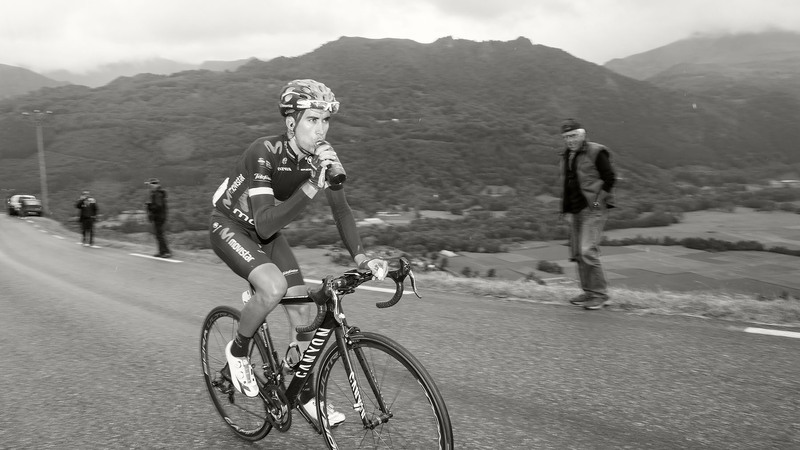 Stage winner Marc Solar leads the race leader Nairo Quintana up Col de Couraduque. 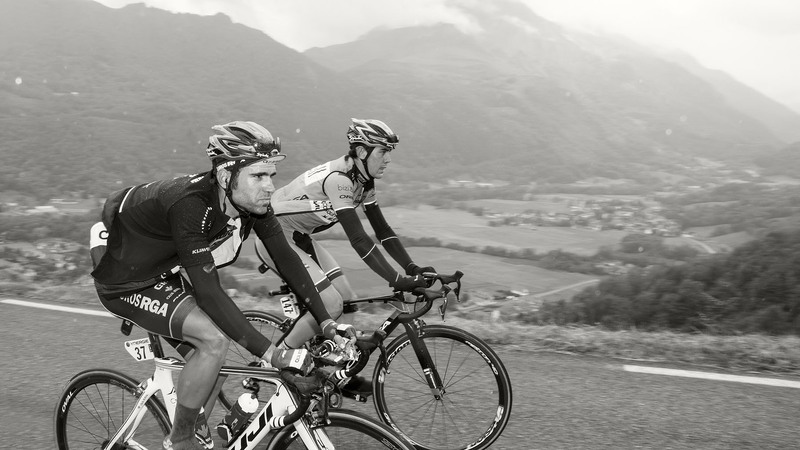 Guillaume Levarlet and Dayer Quintana, Col de Couraduque. Arnold Jeannesson, Col de Couraduque. Video highlights. Pyrenees Cycling Lodge can be seen at 28 seconds in.